The room was so fun and vibrant. 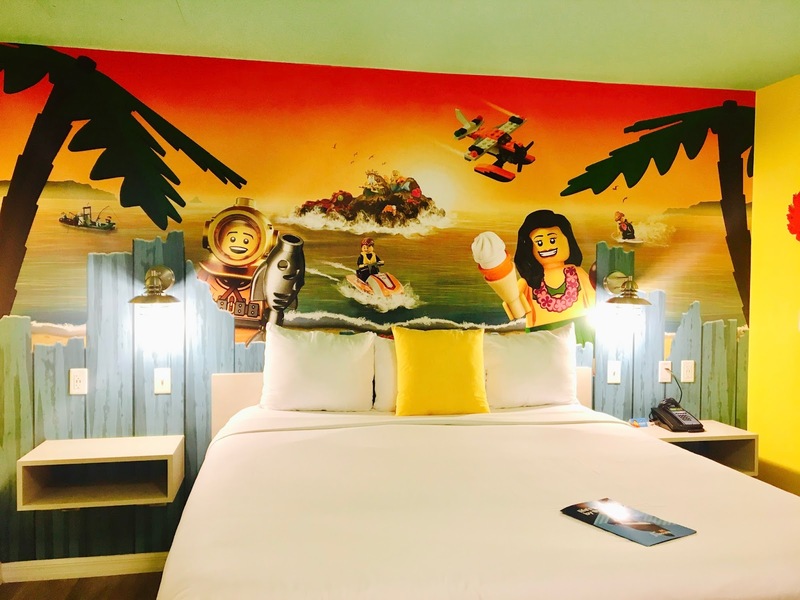 It even had a separate area for the kids to sleep in and a box of legos waiting for them there so they have something to play with in the room. They gave us complimentary water bottles and juice for the kids. 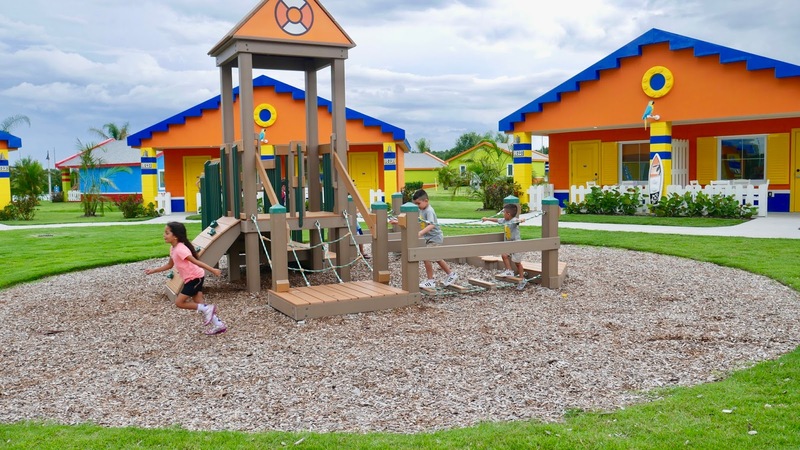 Each cove center has a designated playground just steps away from the outdoor patios. 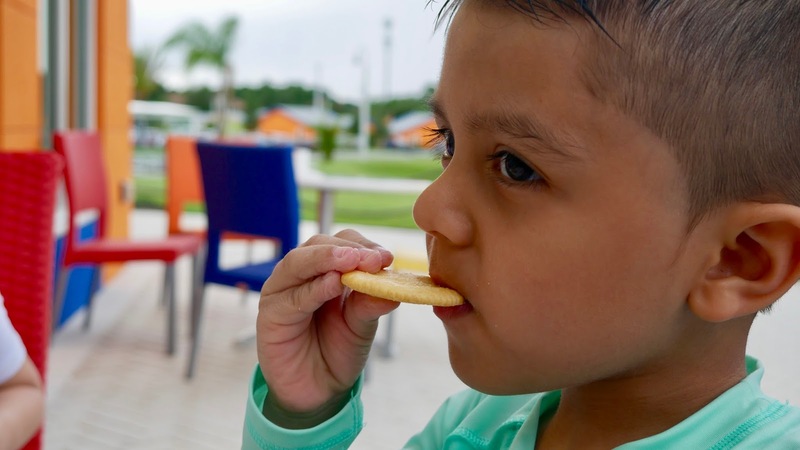 We could sit out on the patio and relax while the kids play. The best part of the resort is definitely the pool area. 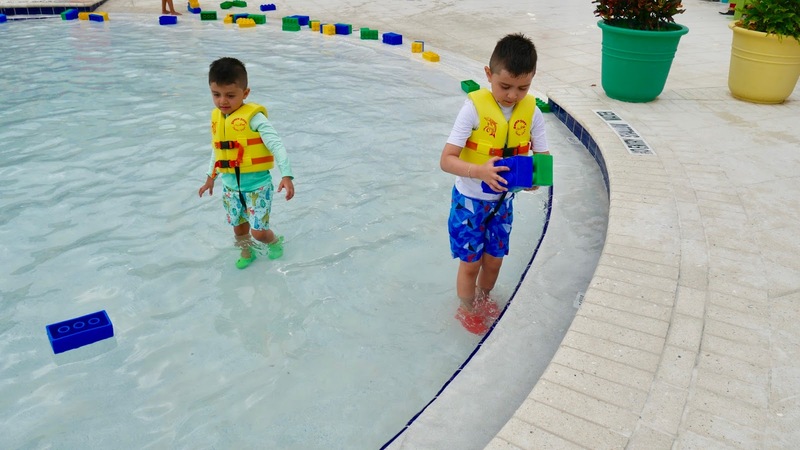 My kids had such an amazing time that they kept asking when can we go back to the pool. 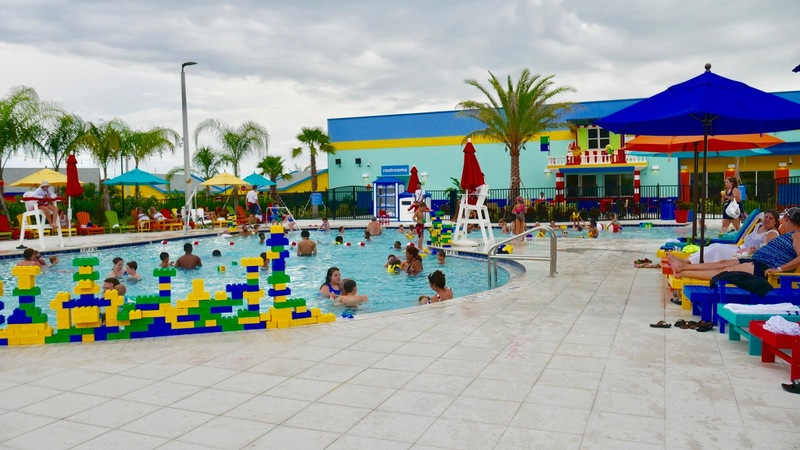 The pool is filled with foam legos where the kids can build in the water. 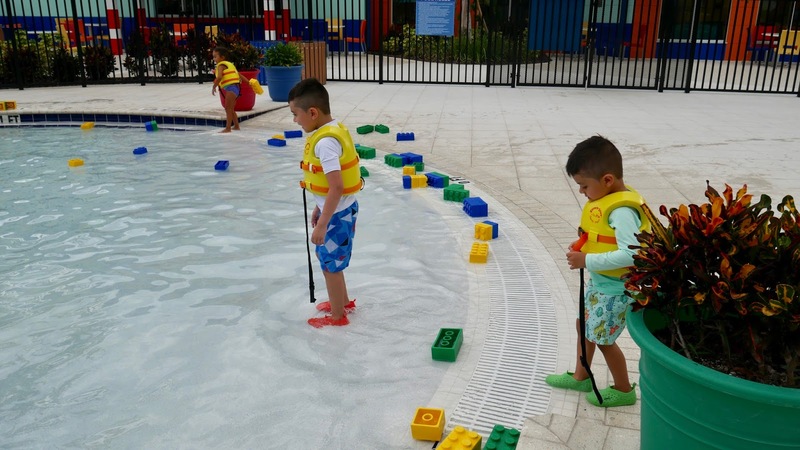 They also have fun pool side activities. 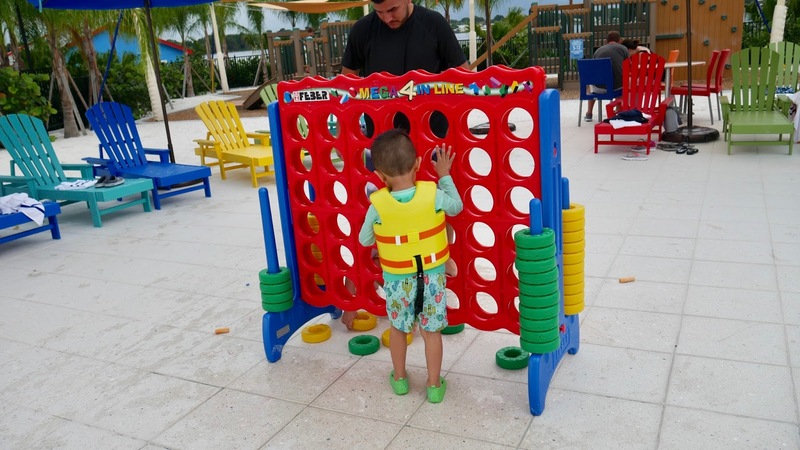 Besides the pool fun my kids enjoyed playing with the huge all time classic game connect four. 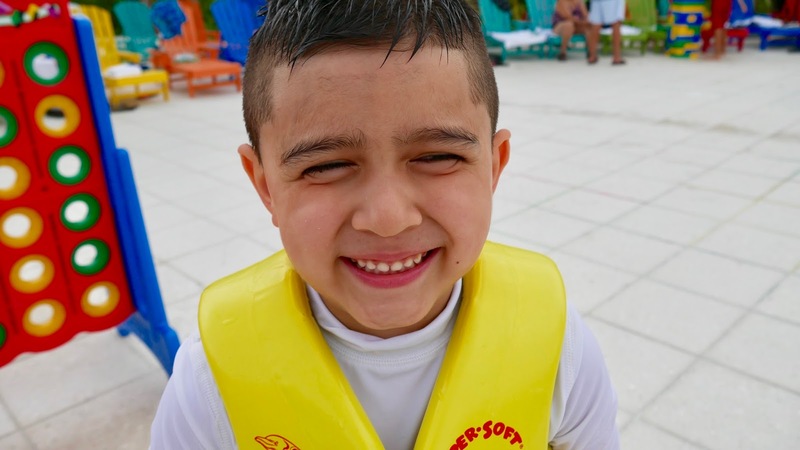 Did I mention they provide life vests for the kids? You might be asking well what about the adults? They have a pool side bar! they have a huge breakfast buffet. they had so many options that I had to get up and serve myself two or three times. Don't judge me, even my boys had more than one plate. Overall we had such an amazing time and I would definitely go back. I think it would be nice to go back but this time around have more family come along. Oh my gosh! How is this place even real?? It is too cute! Oh, I love it so much. This made me smile. I definitely want to visit there! That place looks awesome! I can't wait for my son to be old enough to take him places like that. Maybe I have been living in a cave, but I have never heard about Legoland. The colors are really vibrant, looks great! 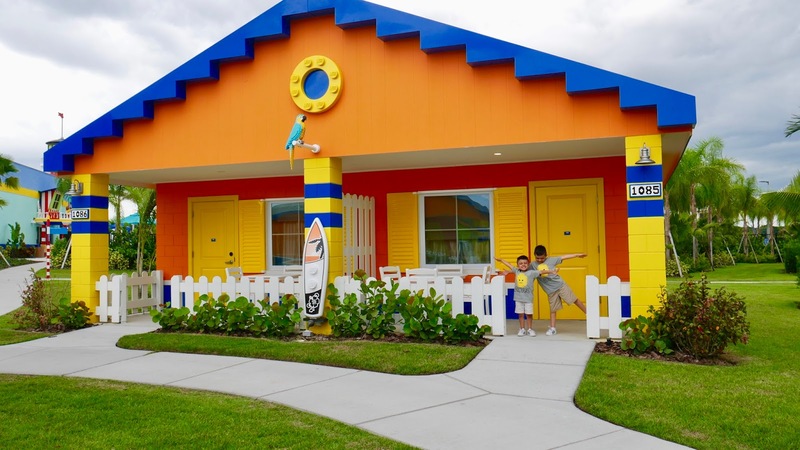 This place looks so amazing, the kids must have enjoyed the time there a lot. It's so colorful..!! I loved legos as a child (still do), and would have been in heaven if I got to visit back then. I didn't know this place existed, otherwise, I would have taken my children. Great photos... I'm sure you all had a blast. wow! first, i wanna say congratulations !!! and where is this place!!!! my son would be stoked to be in that room and pool!!! i guess me too! Whaaaattt, this place looks really awesome! 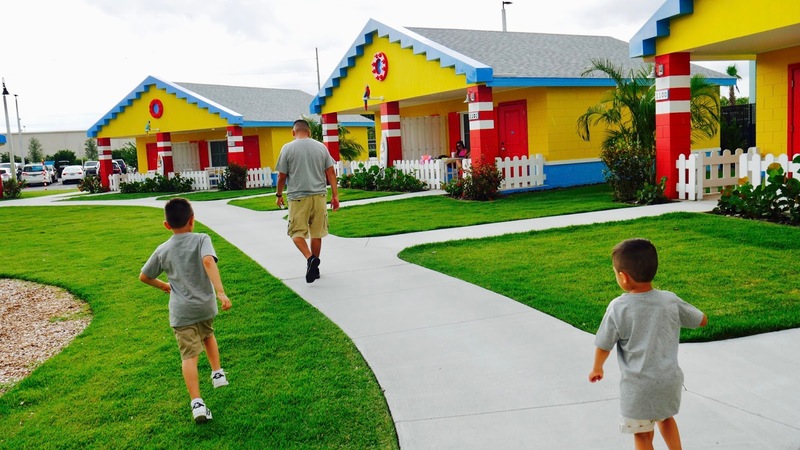 Look at those vibrant Lego colors on the bungalows! 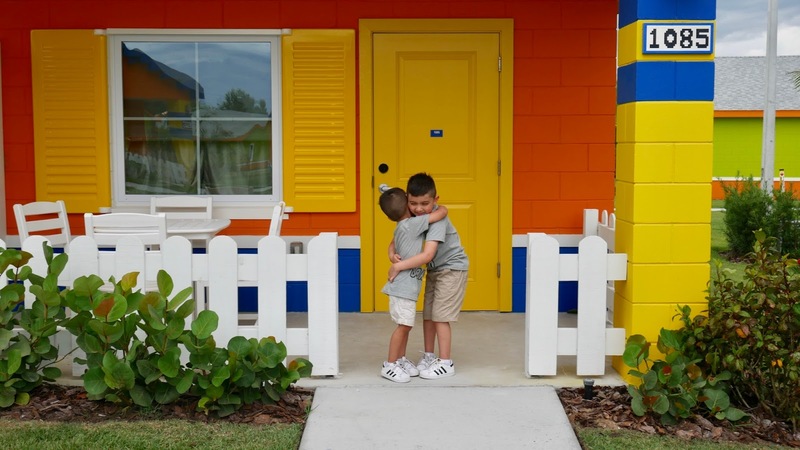 I would love to visit this place on my vacation to Florida! So fun! 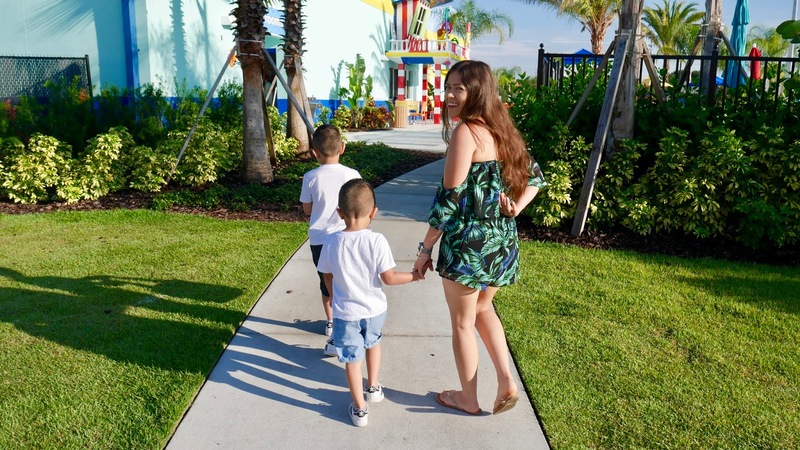 My kids would love visiting Legoland someday, probably when they are a bit older. 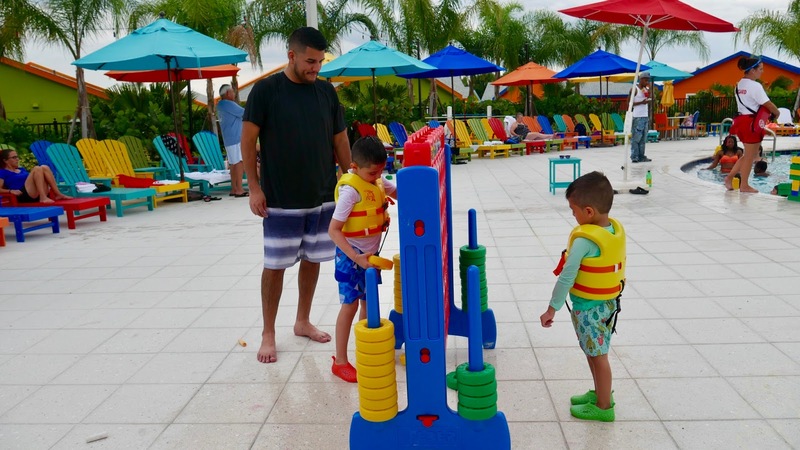 The pool is always a great family activity. 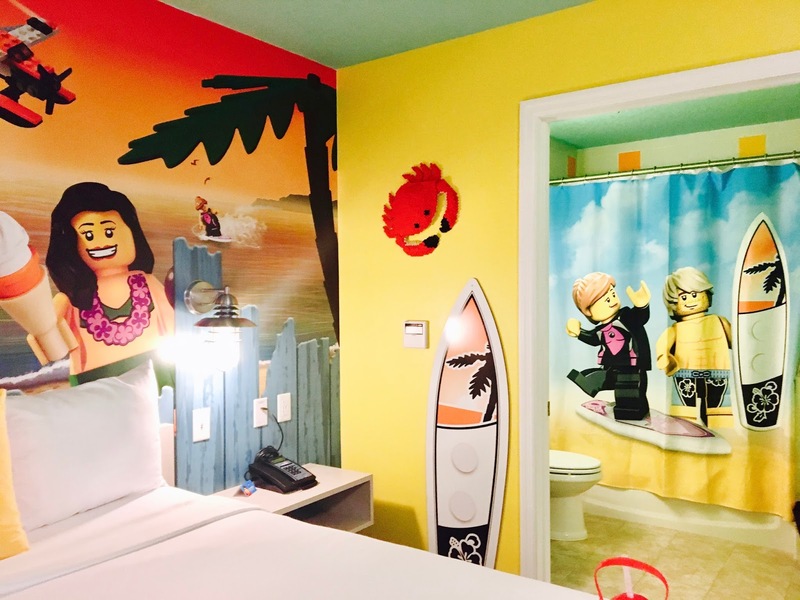 I visited Legoland years ago when the Hotel was not available, wish my son would have seen the hotel, it looks amazing. Oh my gosh this place looks fanttastic. My girls would love this. Great pictures. I was working in a park in Dubai that had Legoland too. Children's favourite! We wanna check this place out someday. It looks like so much fun! 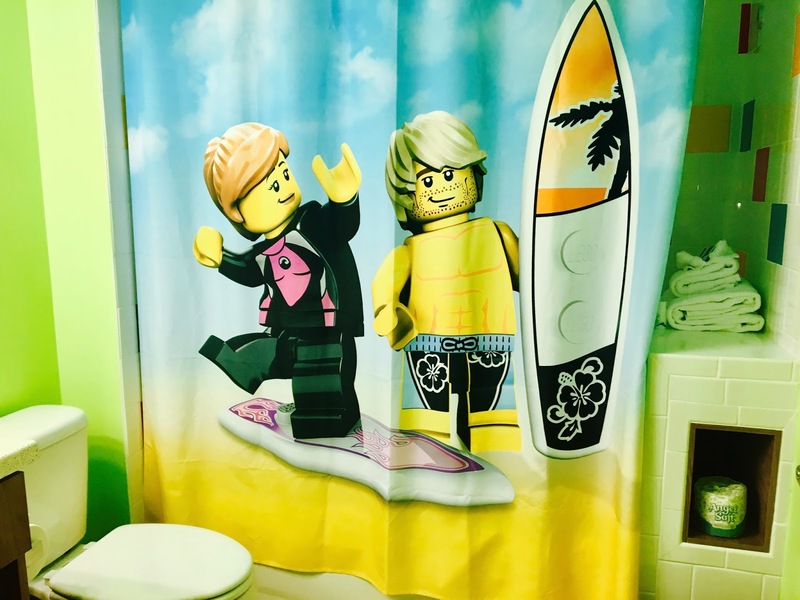 I love how everything stays in the Lego theme! 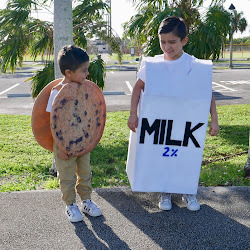 OH my goodness this looks so cute and so fun! I'd love to go here in the future! Oh my gosh! 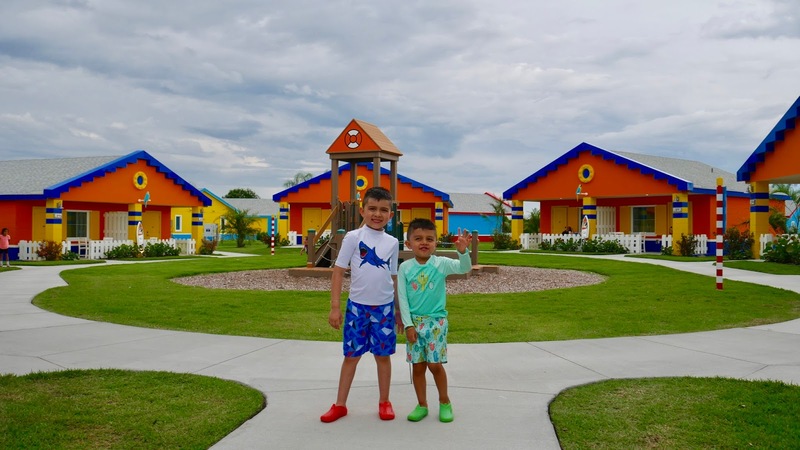 This Legoland beach resort looks awesome! I wonder if they have that in Malaysia? That's the nearest Legoland that we have to the Philippines. My girls would love it here, of course! Wow, this looks like real fun! I wish my kid were small again so I could go.